Home > Ask Our Experts > What if Tenant Doesn't Agree About Utility Charges? 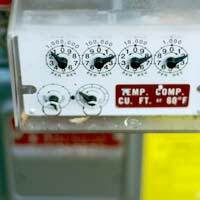 When a tenant moves into a property with a pre-pay meter for gas or electric is it possible for the landlord to set up the gas or electric account for the tenant? Does the landlord need to make the tenant aware of the charges associated with the pre-pay meter before the tenant agrees to having an account opened? If the tenant does not agree to using, for example, the gas account can they still live in the property and not be responsible for the gas account? In most rental situations the tenant will be responsible for utility charges such as gas, electricity, and council tax. The terms and conditions of responsibility of utility charges should be set out in the original rental contract. Where changeover of utilities is concerned either the landlord or the tenant may assume full responsibility and inform the utility companies of the changeover. Many landlords will not leave this task to the tenant as there is no guarantee that tenants will inform the company. If the changeover does not take place then the landlord will be liable for unpaid utility charges. If the tenant does not want to open a utility account in their name then this should be agreed with the landlord. There is nothing to stop a landlord from opening a pre paid meter account in their own name and permitting the tenant to use the meter. This simply means that the tenant will not be able to obtain gas and electricity until they have paid for it. However, pre paid meters do have the capability of paying former utility debts. It would be in the tenant’s best interests to make sure they are not paying for any other utility charges other than their own. This would mean finding out exactly how much they are paying for the utilities via the pre-paid meter. The tenant can request documented proof from the landlord of the charges and the landlord must comply to this request. Another way around the tenant holding the named utility account is for the rent to be adjusted to take into account the utility charges. A set amount would need to be agreed each month and over and under utility charges could be repaid from and to the landlord. Again, this would need to be discussed and agreed to by both landlord and tenant. All of these terms and conditions should be written into the rental contract and agreed to before the tenant signs the contract. When it comes to tenant’s rights and responsibilities the rental contract is vital to ensure protection of rights. The rental contract is a legally binding document and if any of the terms and conditions are broken this will be a breach of contract. However, the terms and conditions are not set in stone and there should be leeway on both sides. If a tenant does not want to be named on a utility account then this should be brought up in negotiations before the rental contract is signed.